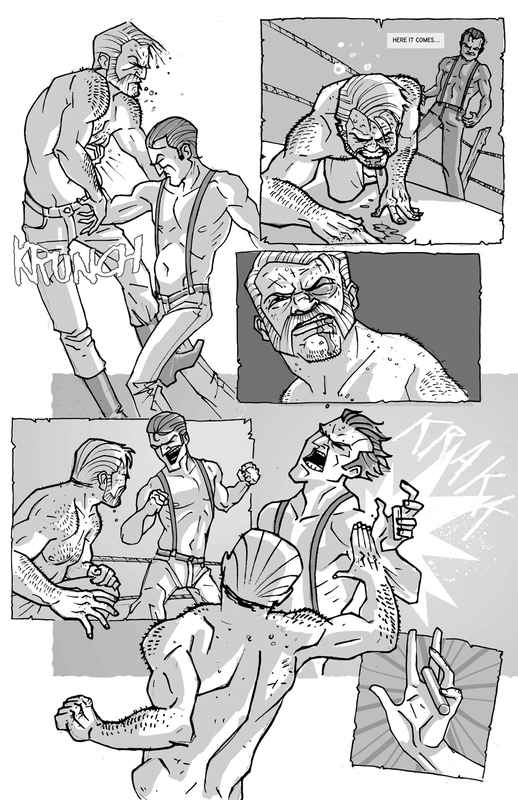 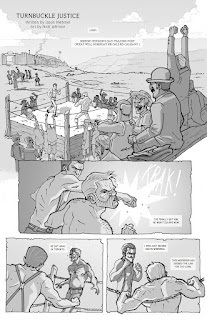 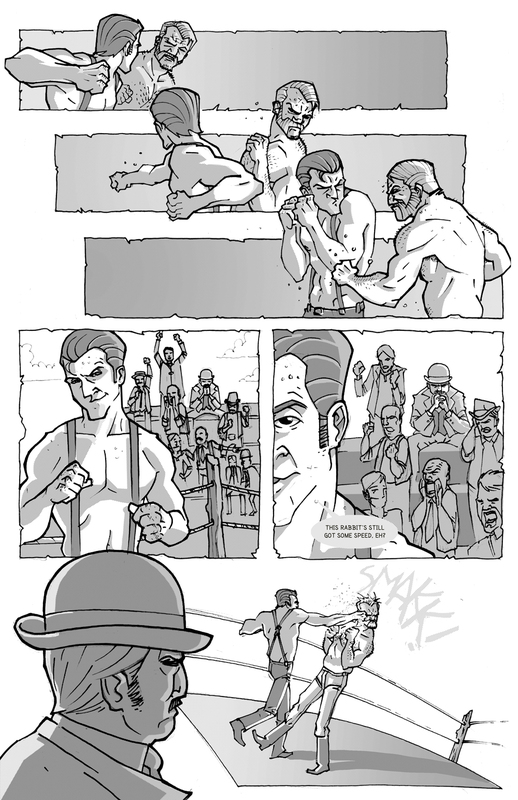 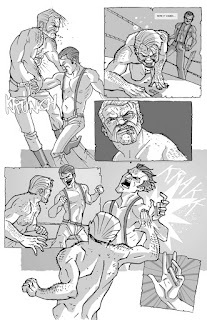 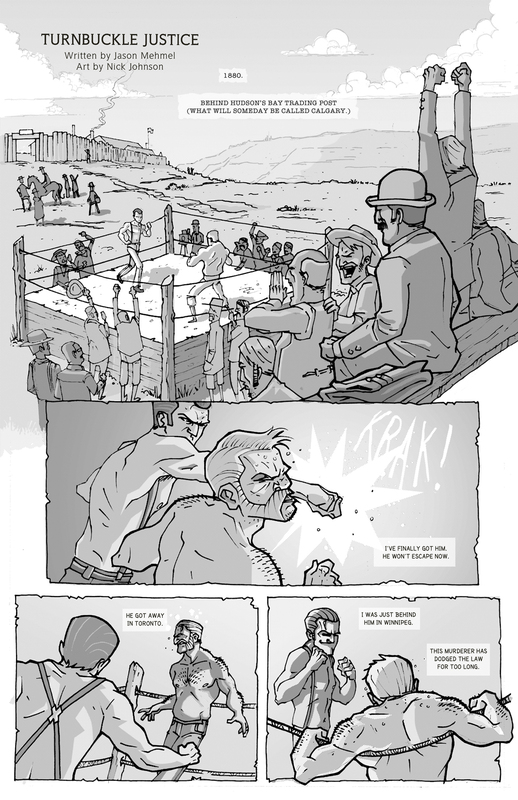 From the newly released anthology FIGHT COMICS, written by the incomparable Mr. Jason Mehmel, comes Turnbuckle Justice! 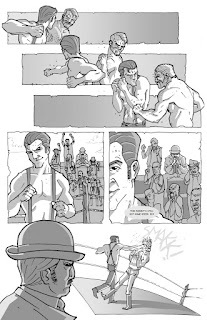 This self-published collection was released at last April's Calgary Comic and Entertainment Expo where we saw a very positive response. 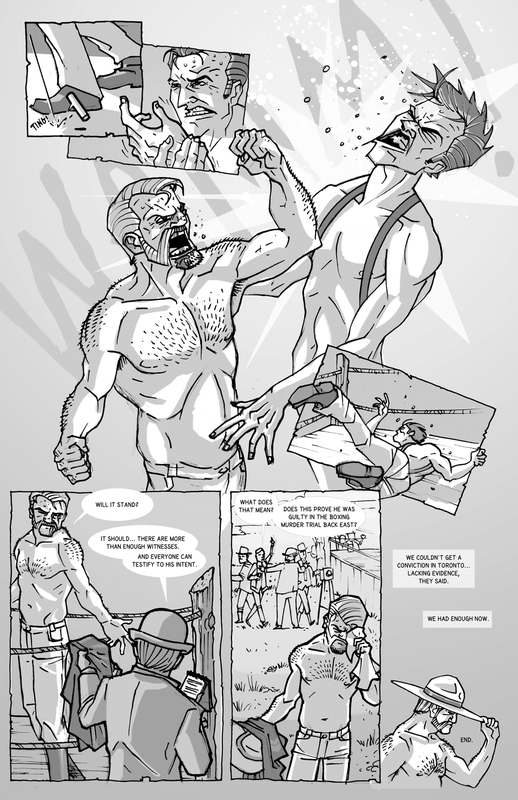 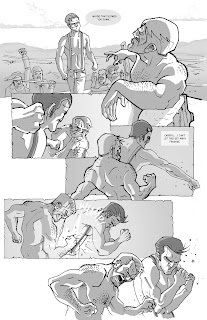 The entire book will be viewable online and available for download HERE, but until then, here is the 5 page story of frontier justice written by Jason with art and letters by yours truly.